I am well and truly back from my holiday, a rather splendid cruise around the British Isles. My break away has left me refreshed and embracing a slower pass of life, not that I have been a busy person prior to it. Since taking redundancy I am still finding my path on just how much self employed work I want to embrace. Reflecting on this has made me realise that during my holiday I have achieved a number of things and it has also shown me I am ready to make a few more changes. So what better way than to share some of these than with a Five of Friday themed post. This is not something I have set in stone, I do not even have a master list pinned on a board anywhere. It's more of a case of ideas kept safely in my head and voiced occasionally to my family and friends. Two ticks on the virtual bucket list..
Go on a cruise. I plan to share lots of photos and information about my cruise on Cunards Queen Elizabeth ship, it sailed around the British Isles stopping in Scotland, England, Northern Ireland and the Channel Islands. I can not say I had any particular expectations about cruising, but I was delighted by the standard of service and and quality of food enjoyed during my time aboard. The Giants Causeway. The main reason I picked this particular cruise was that it stopped at Belfast, and gave me a chance to visit the UNESCO World Heritage and National Trust site of The Giants Causeway. This natural phenomenon has been on my virtual bucket list for many years. Though the trip from the ship started with a shower of rain, I was so pleased the sun came out and for the rest of the day the tour remained several steps ahead of the rain. Even with all the visitors it was still an amazing place to visit, and I am so delighted I did. Majority of time during my holiday I had limited access to the world of social media and wifi. Whilst I was keen to share my adventures with you all via Instagram, Twitter and Facebook. I also realised just how refreshing it was to step away from the constant checking of my phone for messages, emails and the electronic world. As such I am on the brink of enforcing a no electronic devices ban on set hours for set days. Do let me know if you have tried this and if you have any tips. This extra freedom gave me more time for creativity. I successfully completed my Learn to Crochet the Easy Way course from Beautiful Things, and I am looking forward to taking my crochet to the next level with the intermediate course. Crochet is a great way to distract me from the electronic world. Although I do love looking at all creations everyone posts on Instagram and their blogs, which is great for inspiration and motivation. I have always had this small yearning to have something published. I guess in a way you could say that by creating and writing this blog I have achieved this. But I have decided to take it a little further and plan to publish my own e-book. Things are still in the planning and creative stage, but just by typing this and putting the idea out there I feel I have taken the first step. It will not be a novel, but something creative. If you want to join in with Five of Friday then take a visit to the very creative Amy at Love Made My Home blog. I don't have a mobile phone only a land line and the computer. Whilst terribly old fashioned it does mean I don't have the issues of unplugging. Follow your dream and write your book, don't live life on regrets, I am sure it will be amazing. Lovely post. I've thought about the same things since leaving work last year. I find myself a lot more creative than I used to be. I am enjoying life a lot more and find myself happier. The writing thing touched a nerve. I have written (as a sort of stress relief) ever since I can remember. I don't think a few weeks go by without writing something. I've thought about self-publishing and it sounds like it isn't too difficult with Amazon. I just have to get up the courage! Glad you enjoyed your holiday and got to take a well-deserved time out to reflect on life. I don't have a bucket list but would love to visit the Giants Causeway. It looks so incredible in pictures but must be mind blowing to actually experience it. Good luck with your e-book - as mamamercantile says follow your dream. Great idea going on a cruise, so much to see around our coastline. I'll have to go and see the Giants Causeway one day. Glad you had a good time. I have never been on a cruise, although I've thought about it. Your get-away sounds delightful. 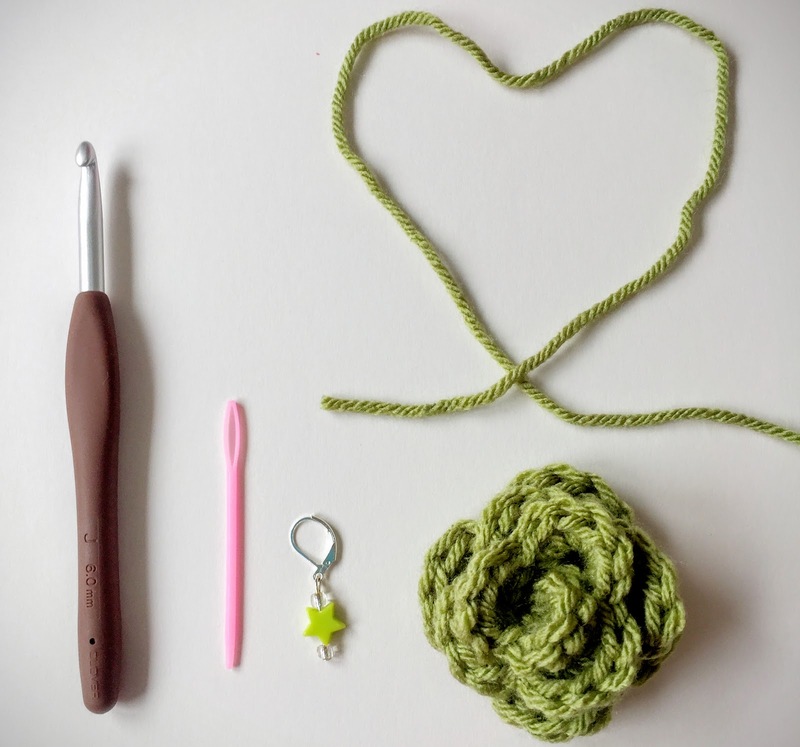 Seeing something you've always wanted to, unplugging and time for crochet. Well done! Well I certainly wish you good fortune with your goals and I am looking forward to seeing more of your creativity. Especially looking forward to your crochet. Your trip away looks great. Good for you that you're thinking of a book. I've started three and can't seem to get back to any of them. You've inspired me. Hi Angela! I'm Gracie who found you through F on F. Your Five reflect some of my interests as well. I told my middle school teacher, "Some day I'm going to write a book." She responded, "I believe it!" Although I have had a few pages published, the book has not been written or published yet. Blogging is a very satisfying and stimulating prompt for writing, though, I think. Cheers for your cruising, crocheting, and positive contemplation!